Yes, Spring is here at last, although from the weather today, it is a bit difficult to tell. Gales, hail, grey skies, but then a flash of blue to lift the spirits. 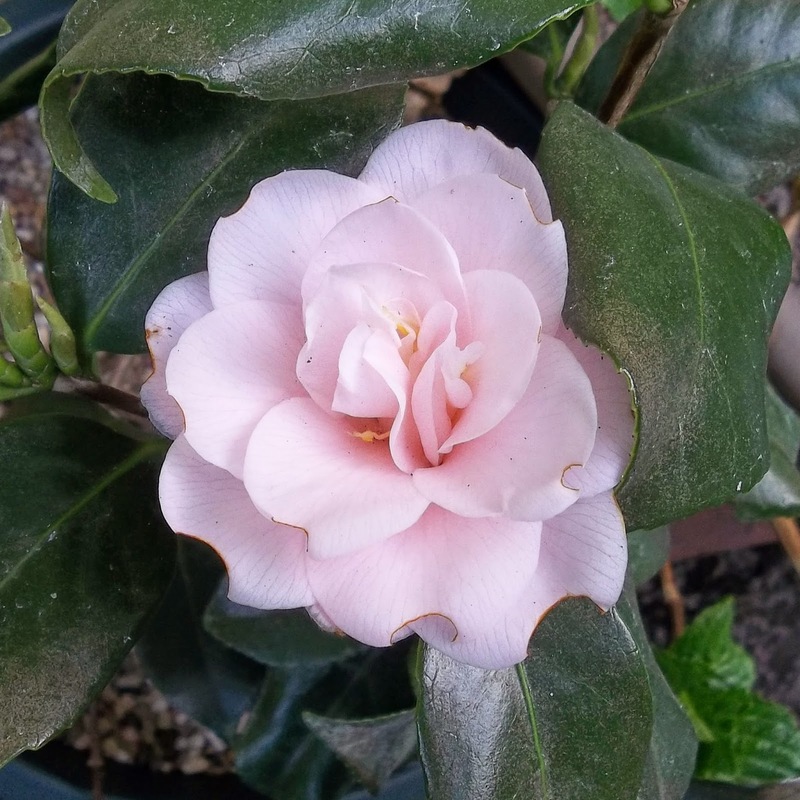 I bought this little camellia (no name, but it is a japonica variety) on a recent trip to The Range (the kind of shop which sells lots of different things and you never quite know what you may find). We went to buy plastic storage boxes for our ever increasing stash of gemstones/beads and of course, came out with other bits and pieces too. There is a good craft section there and we always buy something when we visit! I couldn't resist the camellia with its fat flower buds. Now they have opened, I am really pleased I bought it - the flowers look a bit like roses. 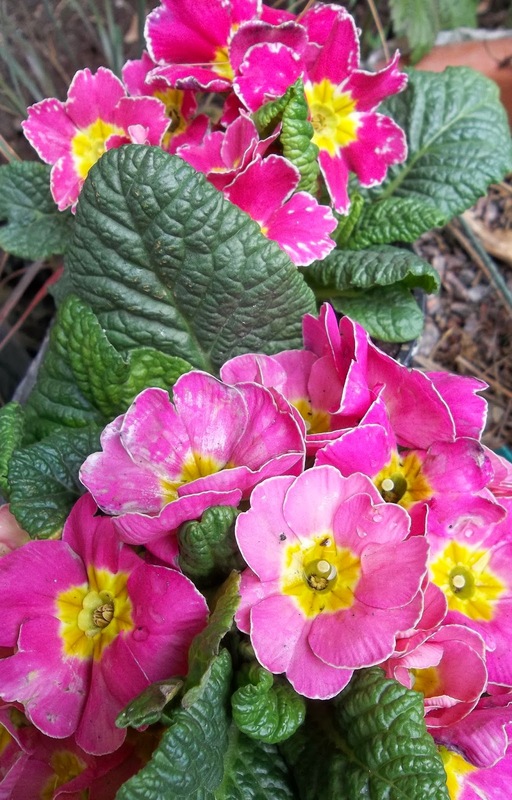 These two vibrant pink primulas were also purchased - the flowers look a bit weatherbeaten, but they were only 74p each, so how could I resist? 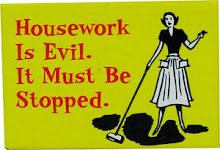 I'll divide them in a while and then they'll go in the garden. 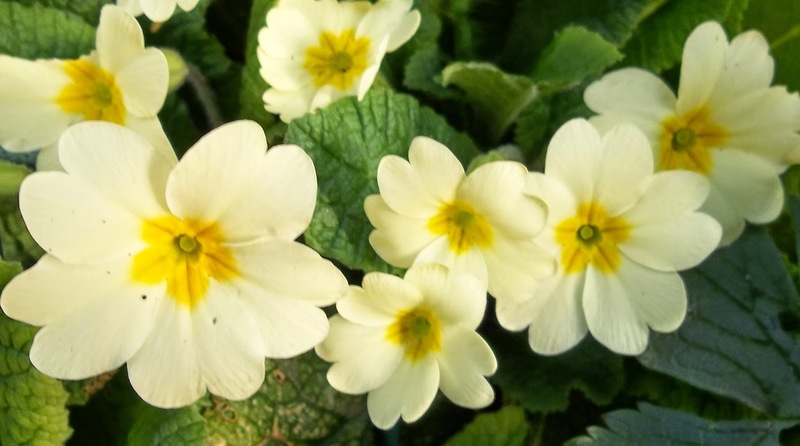 Of course, I don't think old fashioned and perfect primroses can be bettered as the harbingers of Spring. Beautiful sunny colours. The last of my crocuses to flower are Jeanne D'Arc, with a delicate pastel purple stem. Now there are magnolias to come and then tulips - I'm really looking forward to seeing them. 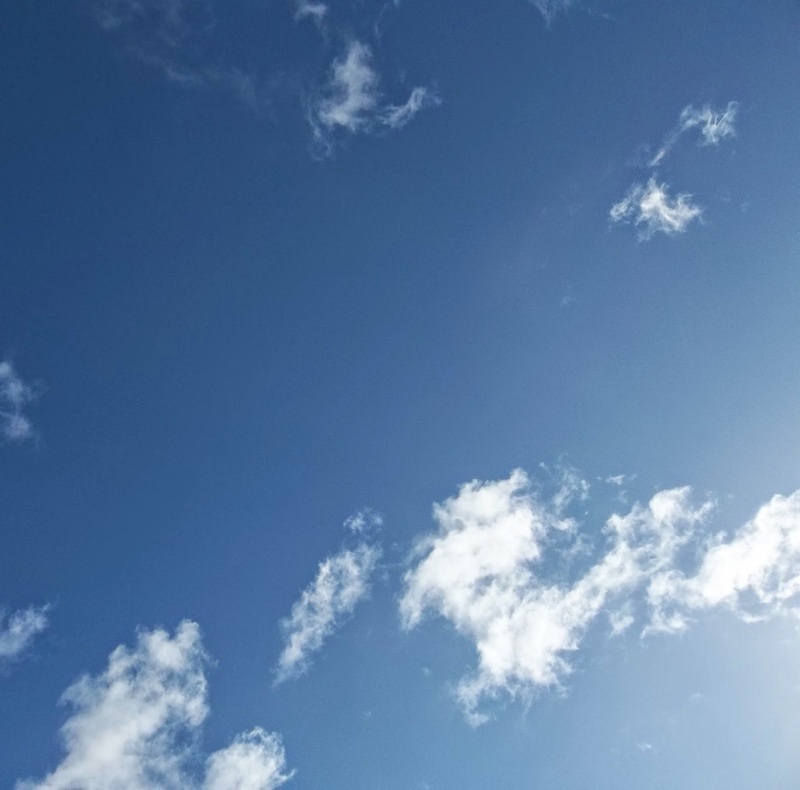 Love the sky - and your garden. 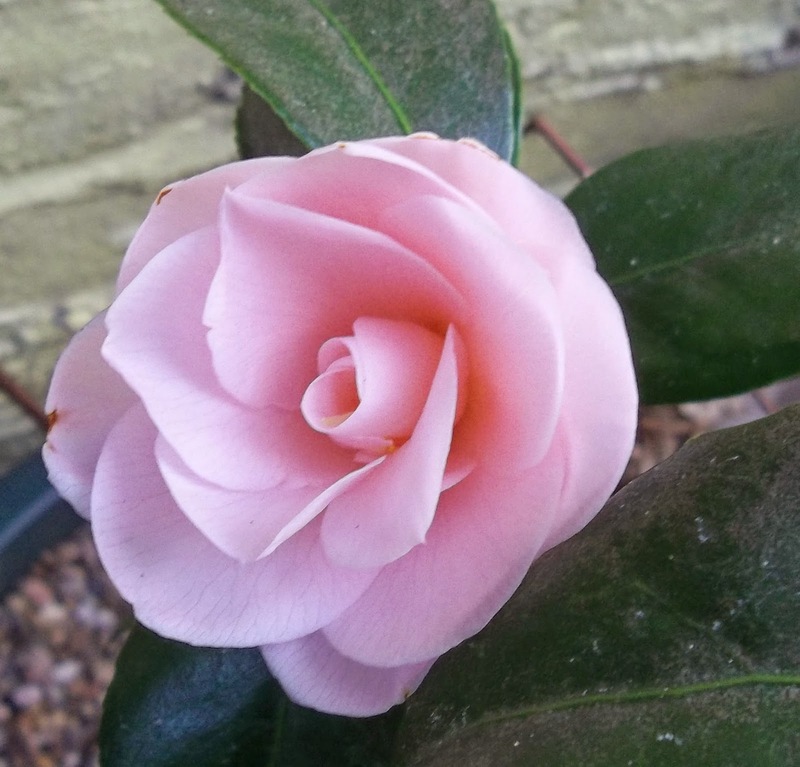 Have you ever grown the scented or trailing camellias? Thanks EC. 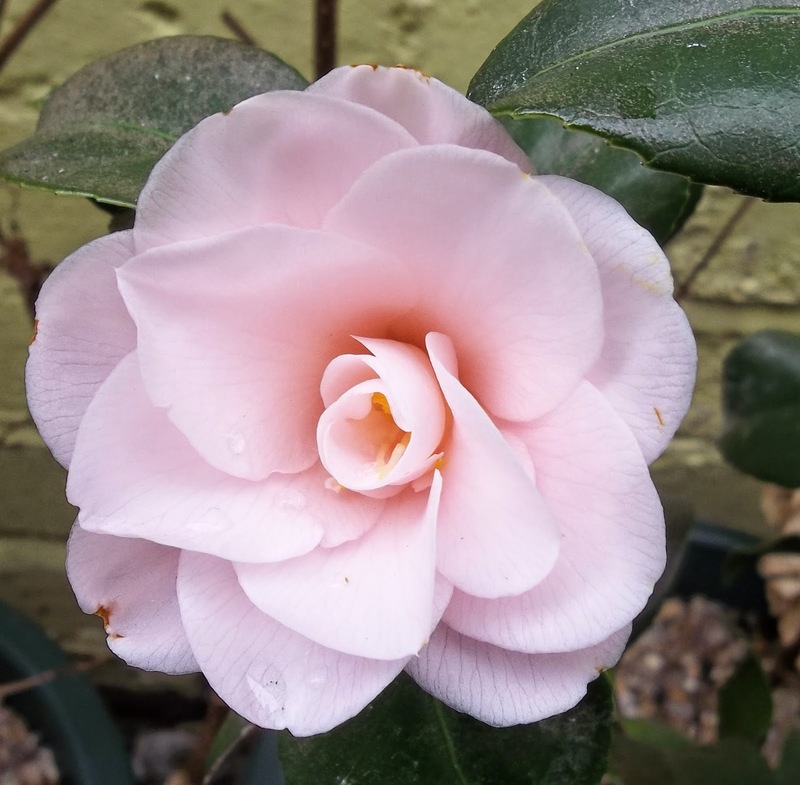 No, I haven't grown either of the camellias you mention - I have one other called 'Cupido', bought last year, which is more upright but which hasn't flowered yet. I'll have to do some internet research on scented and trailing ones, I think! Thanks, Amy. Yes, it is pretty and I am pleased I gave in to temptation and bought it!